BOSTON — A U.S. Navy destroyer that will be named for a Navy pilot from Massachusetts who received the Medal of Honor for his actions during the Korean War arrived in Boston on Monday ahead of an official commissioning ceremony. The future guided-missile destroyer Thomas Hudner cruised past Castle Island before docking at the Flynn Cruise Port Terminal. It will be open for free public visits on a first-come, first-served basis from 10 a.m. until 11:30 a.m. and again from 1 p.m. until 2:30 p.m. on Tuesday, Wednesday and Thursday. The future destroyer Thomas Hudner headed down the Kennebec River on Wednesday. The commissioning ceremony is scheduled for Saturday at the terminal. 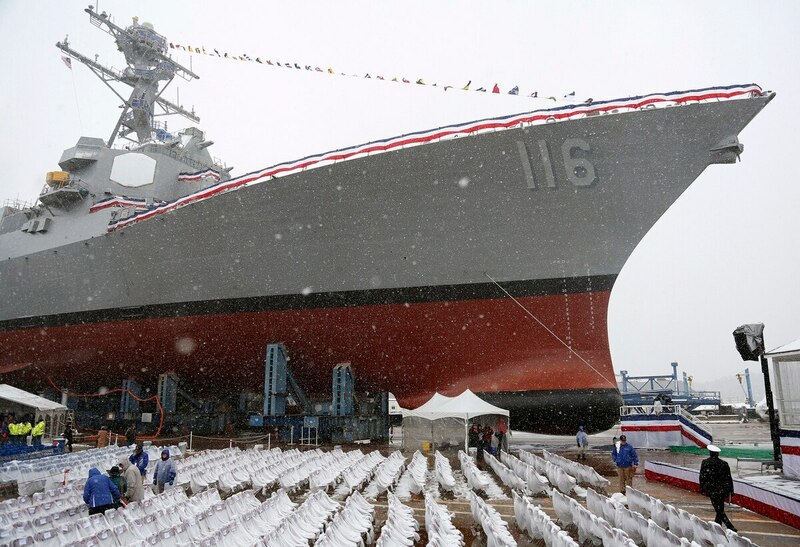 The Navy’s newest Arleigh Burke-class destroyer will be named in honor of Capt. 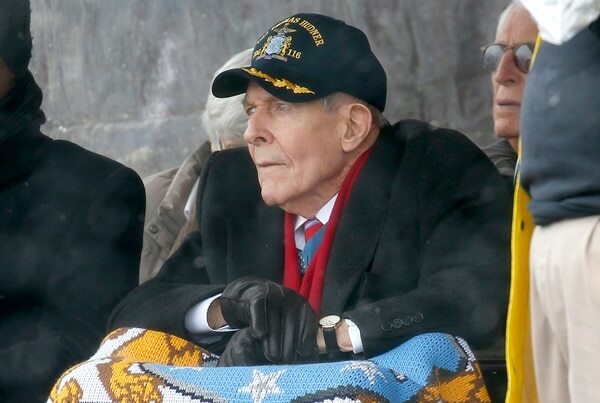 Thomas Hudner, a Fall River native and longtime Concord resident who was awarded the Medal of Honor for crash-landing his plane to try and save the life of his wingman, Ensign Jesse Brow,n during the Battle of Chosin Reservoir in December 1950. Hudner and Brown — a Mississippi native and the Navy's first black combat pilot — were on patrol when Brown's Corsair was struck by ground fire from Chinese troops and crashed. Brown was trapped in his burning plane and Hudner intentionally crash-landed in freezing temperatures and tried unsuccessfully to pull Brown free. Hudner was evacuated by a helicopter and Brown died in his plane. A retired senior officer, Hudner died last November at age 93. The 9,200-ton destroyer was built by General Dynamics Bath Iron Works in Bath, Maine. It is 510 feet long and has a beam of 66 feet. It is commanded by Missouri native Cmdr. Nathan Scherry and has a crew of 310 sailors. Hudner's family and Brown's family are scheduled to attend Saturday's ceremony. The destroyer Thomas Hudner will be homeported at Naval Station Mayport in Florida.